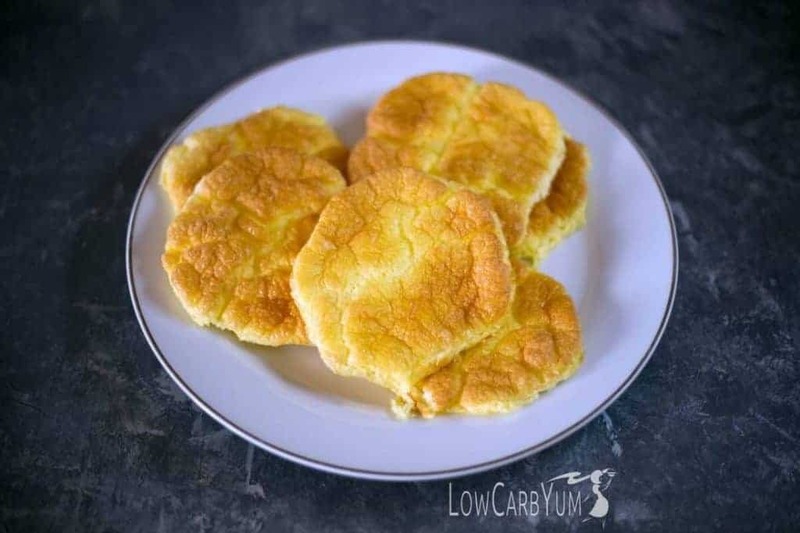 An easy to make keto cloud bread recipe for low carb and ketogenic meal plans. Also known as Oopsie Bread Rolls or Revolution Rolls, they have less than 1g carb each. I started my egg fast diet plan this week and have already lost about five pounds. Yeah! 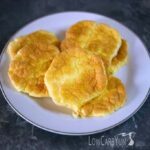 To help me plan meals for the week, I made a batch of low carb cloud bread Oopsie rolls over the weekend. 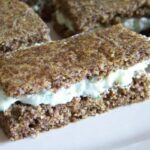 They are perfect for making keto egg salad sandwiches. 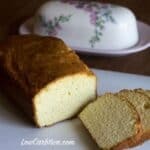 You’ll find a lot of variations on this egg bread recipe. 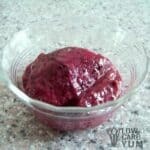 I found this recipe at Food.com, but it wasn’t in the correct ratio for an egg fast. So, I adjusted it slightly to fit the egg fast rules, but you’ll need to spread on some butter for the needed fat. You can toast Oopsie bread a little or even grill it in butter. 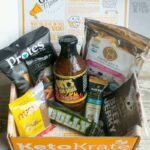 Heck, I bet they’d even make a terrific keto grilled cheese sandwich. 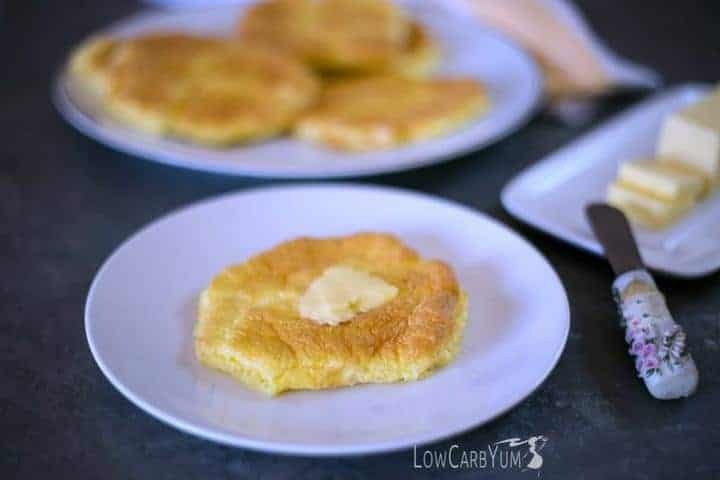 Keto cloud bread is a simple roll made primarily with eggs and cheese. 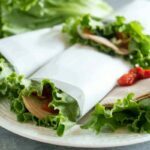 It’s been a popular low carb bread because each roll is less than one gram of carb. I’m not really sure who came up with the idea of making this egg based bread. 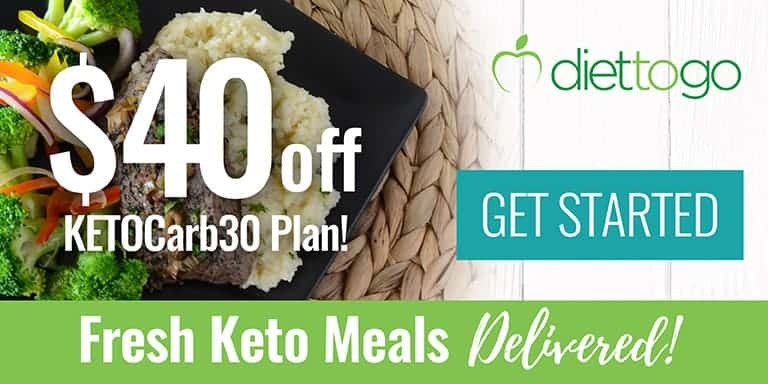 I’m pretty sure they are based on the original Basic Diet Revolution Rolls recipe found in the 1972 version of the Dr. Atkins Diet Revolution book. I do know that the Oopsie name originated from Jamie at Your Lighter Side. 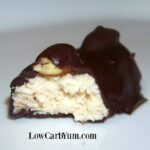 Slight variations have been floating around the low carb community for a while. The original Revolution Rolls were made with cottage cheese. Jamie made a mistake and added cream cheese which is why she named them Oopsie Rolls. 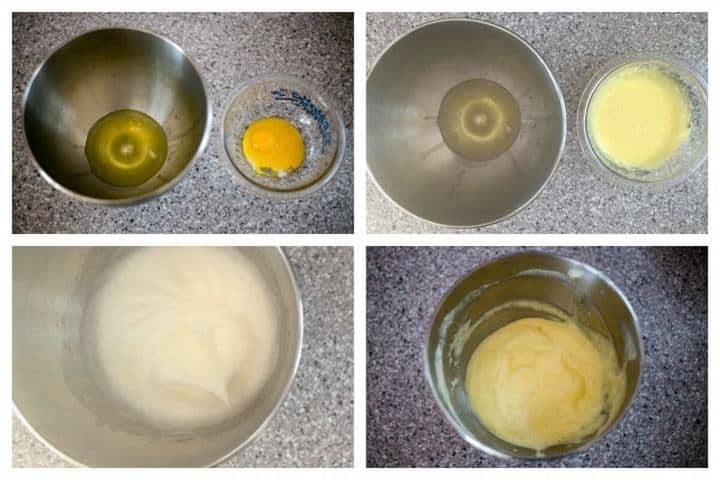 When making the Oopsie bread recipe, the egg yolks are separated from the egg whites. The yolks are blended with cheese and a little salt. Then the egg whites are whipped until stiff peaks form. 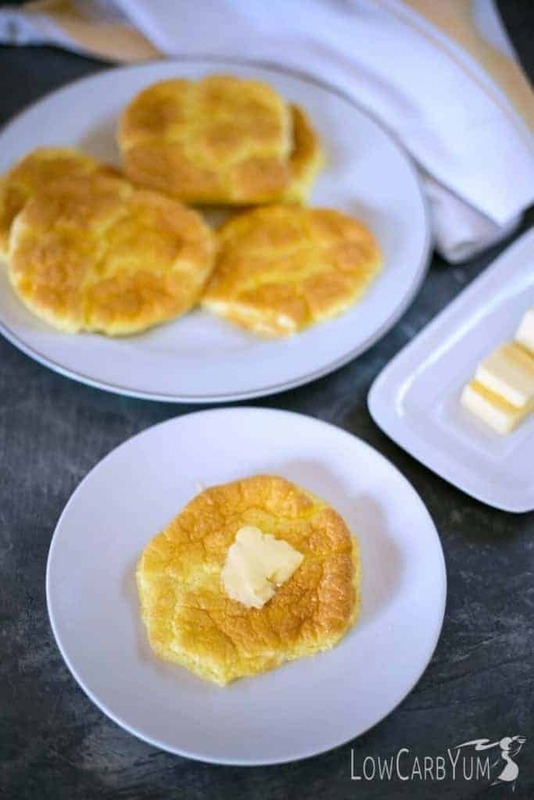 The key to light and fluffy keto cloud bread is to gently fold the egg yolk mixture into the egg white mixture or vice versa. Folding is the method used to combine ingredients lightly using two distinct motions. Using a spatula, one cuts vertically through the mixture then one slides the spatula across the bottom of the bowl and up the side. Folding is used to turn the mixture over several times to combine a heavy mixture into a light mixture. When folding, the heavier mixture is folded into the lighter mixture. Be sure to watch the recipe video if you aren’t familiar with how to properly fold mixtures together. If done properly, the cloud bread batter should be light and airy. It’s then spooned into six mounds on a baking sheet with parchment paper. It takes about 25-30 minutes of baking in a 300°F oven to complete the bread. If overbaked, the Oopsie rolls can become crumbly. After cooling on the baking pan for 3-5 minutes, the rolls are then transferred to a cooling rack to cool completely. To prevent sticking to each other, it’s a good idea to allow the the rolls to dry at room temperature for a day before refrigerating. Then they can be placed in the refrigerator in a container or bag that’s cracked open. For longer storage, freezing is recommended. I like to place them in freezer bags with two rolls to a bag. Then I just let them thaw at room temperature when ready to use. 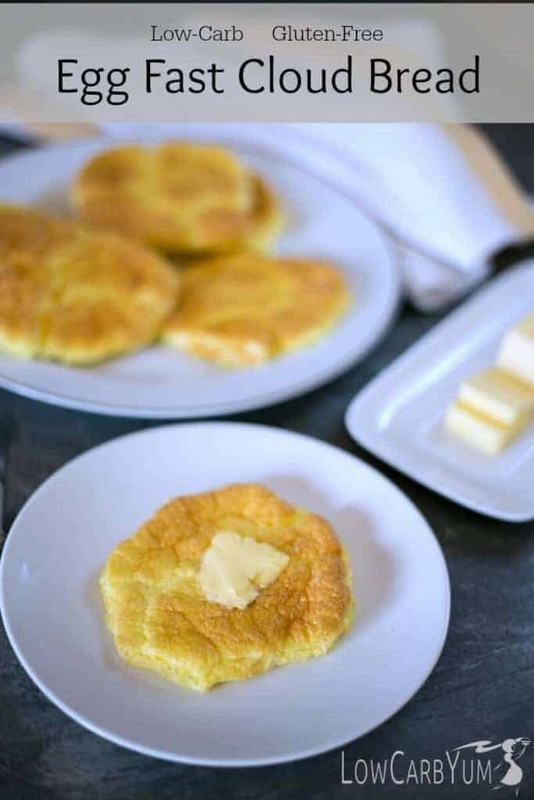 Since it’s basically an egg bread, cloud bread can taste a little eggy. However, the cream cheese mixed in lessens that taste. If you find the rolls too eggy for you, herbs and or spices can be folded in or sprinkled on top before baking. Some like to add garlic powder or onion powder. 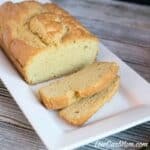 Others have added in active dry yeast or nutritional yeast to give a more bread-like flavor. 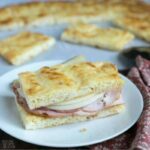 Having a batch of Oopsie bread in the fridge or freezer is great when you get busy during the week. For egg fasts, I like to make a few batches over the weekend and put them in zipper bags to eat during the week. To save time, I tried to make a double batch, but the rolls did not come out as well as a single batch. This might be because having a larger amount of egg yolk mix flattens the egg whites. To have the best bread consistency, you want to ensure the egg whites don’t break down too much when folding in the yolk mix. If you prefer a bread that isn’t so flat, you can leave the batter mounds a little higher. It took me several tries to get the rolls just right for me. 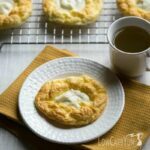 Now, they are a regular because they are so easy to make with only four ingredients. For an egg fast, each roll needs a half tablespoon of butter spread on it. This gives the required ratio of eggs and fat. You can’t add the fat into the batter because it would result in the batter spreading during baking. That’s why I recommend just adding some butter to the finished roll. 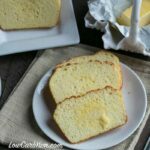 I like to use these low carb gluten free rolls as a side to my morning eggs. They are also perfect for making egg salad sandwiches. 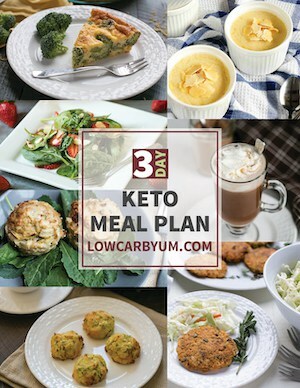 A low carb ketogenic diet doesn’t have to eliminate bread. 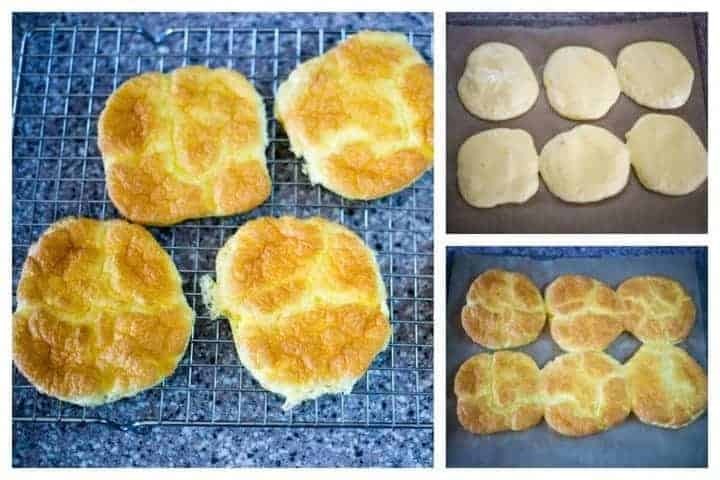 These egg fast cloud bread oopsie rolls have only 0.6g total carbs each. Spoon 6 mounds of the mixture onto the prepared baking pan. Flatten each mound slightly. You can find great tips for trouble free Oopsie Rolls here. And, there are tons of recipe variations on Your Lighter Side. The rolls are more bread like when the egg whites are beaten until very stiff. The cream of tartar is preferred to help keep them stiff. It’s not recommended to double the batch as the heavier amount of yolks can flatten the egg whites easily. It’s best to use only 3 eggs each time. To keep the proper egg fast ratio, you’ll want to spread 1/2 tablespoon butter onto each roll. Post updated in March 2019. Originally published in April 2019.